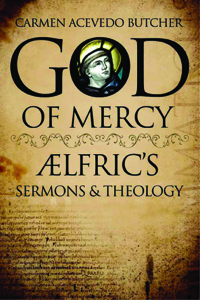 God of Mercy introduces and contains seventeen classic Old English sermons by the tenth-century Benedictine monk, Ælfric, translated for the first time into Modern English. God of Mercy presents the theologically and spiritually attractive work of this important early monk. Ælfric's timeless writing style is as attractive and unfettered as his message--God is a God of unending, myste-rious mercy--and the Modern English translations reproduce that simplicity here. At the heart of this book is The Rule of St. Benedict, around which this tenth-century monk ordered his spiritual and earthly existence. A command from its prologue could serve as Ælfric's mission statement: "Listen carefully, my son, to the master's instructions, and attend to them with the ear of your heart? [A]nd?we will run on the path of God’s commandments, our hearts over-flowing with the ineffable delight of love." Ælfric lived much of his life during a time of Viking terrorism, but–first in the village of Cerne Abbas, and later as abbot of the Benedictine community near Oxford, in the village of Eynsham–this dedicated monk doggedly put stylus to vellum in an attempt to educate and save others (and his own soul) through the good news of the gospel.